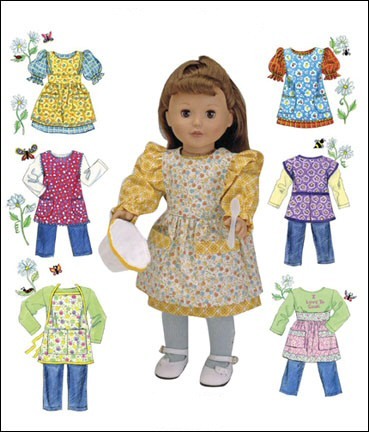 Patterns included for dress, jumper, shirt, leggings, pinafores and aprons. All clothes fit standard-sized 18" dolls. You may want to length dress and apron skirts to be mid-calf or ankle length.